"Donny, Dave and Vic are best friends. They have everything in common ... ex-wives, new girlfriends, and the kids for the weekend." Bye Bye Love is an American comedy film that centers around the lives of three divorced men and their new lifestyles. 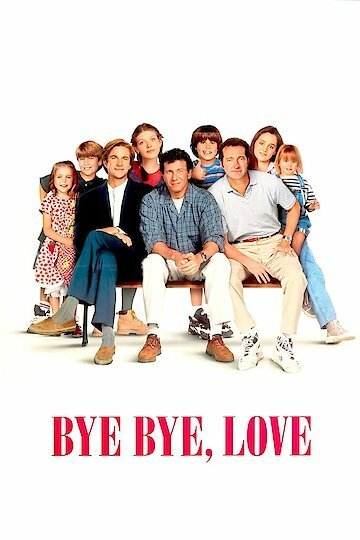 Bye Bye Love shows the relationships between these men, their children, their ex-spouses, and new loves. The film also addresses dealing with divorce, loss of a spouse, and teen homelessness. Bye Bye Love is a comedy yet finds the emotion within the story. Bye Bye Love is currently available to watch and stream, download on demand at Amazon Prime, Hulu online.